To say that the ketogenic diet changed my life would be an understatement. It completely transformed my lifestyle in a way that I could never imagine. I know that sounds a bit ridiculous to say about a diet but its true. Many of things that were holding me back were suddenly gone and I didn’t even know they were things that were holding me back. I no longer suffer from fatigue or mental grogginess. I don’t find my stomach rumbling at all hours of the day and my energy levels stay consistent from sun up to sun down. Losing weight was, of course, a great benefit of joining the keto revolution but experiencing all of the other wonderful changes to my body really showed me the importance of treating my body right. In fact, keto has changed my life so much and I think it can have a positive impact on everyone’s life, I’ve created a whole business around it. If you have no idea what I’m talking about then I suggest you check out Ketogenic Diet: Beginner’s Guide to Keto and Weight Loss. 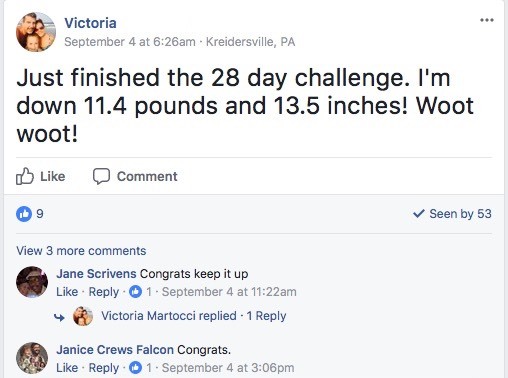 Trying to start keto isn’t always the easiest journey for people. It requires that you change how you eat for the better, but don’t worry, you won’t be lacking delicious meals because keto is filled with them. The whole purpose of keto is to get your body to enter a metabolic state known as ketosis. When your body is in ketosis it means your glycogen stores are depleted and your body begins to use fat as a resource to start producing ketones. Ketones become your body’s energy source and believe me, your body loves them. However, a lot of people seem to have trouble getting into ketosis or if they do get into ketosis they find that they knock themselves out of it frequently. In this post, I want to address some of the common mistakes that people make that prevent them from staying in ketosis long term. Have you ever heard the phrase “you need to spend money to make money”? Well, the same thing applies to keto but with fat. To stay in ketosis you have to consume fat because that is what your body is using as an energy source. Without fat, it will try its best to go back to glycogen (sugar) as it’s fuel source which knocks you out of ketosis. It can be hard to wrap your head around the fact that a stick of butter actually isn’t bad for you. Those pork rinds? A perfectly healthy snack. On keto, you load up on fat so you need to make sure you aren’t afraid of it. Besides, isn’t it a good thing that you get to load up on things like butter and cheese? This was probably the hardest thing for me since I’m not used to consistently drinking water throughout the day. It’s advised that you drink at least a gallon of water a day so that your body’s organs can properly function and do what is necessary. Do you know how hard that is when you’re constantly thinking about things? It’s gotten to the point where I always keep one of these cool water bottles always with me so I’m not without water for long. Of course, with drinking all of this water, it also means more frequent trips to the bathroom but over time your body gets used to the water you’re drinking and begins to handle it better. When trying to get into ketosis, you might experience something known as keto flu. You’re not actually getting sick but you’ll begin to feel the symptoms of the flu-like fatigue and headaches. No worries, you can actually prevent this. The main cause behind these symptoms is a loss of electrolytes. You’re losing electrolytes because you’re drinking more water and are actually eating better foods that don’t contain artificial preservatives. So what you need to do is ensure that you’re replenishing your body of its electrolytes and one of the easiest ways to do that is getting salt (sodium) into your system. In the morning, I like to add chili garlic sauce or Sriracha to my meals since they have sodium. I also have no problem adding salt to any foods that can use some extra seasoning. Another benefit of consuming more salt is that your body can retain water a lot easier meaning less trips to the bathroom. Another great way to replenish electrolytes daily is by adding Mio electrolytes to your water. One of the great things about keto is that you get to consume a large amount of full-fat dairy. The problem though is that if you consume too much you find that you aren’t losing weight. The reason why is because to lose weight you need to put your body into a caloric deficit. Let’s say that your body burns 2,000 calories every day. If you consume 1,500 calories, then your body needs to find something to get the other 500 calories and on keto that is with fat. However, because most dairy is packed with calories, it’s very easy to consume so much that you go over the amount of calories that your body needs to burn that day which means it doesn’t need to burn extra fat for more energy. So while you get to add healthy portions of cheese to your meals, you don’t get to sit down and consume a whole block of cheddar. This is one of the most important aspects of any diet that often gets overlooked. We place a heavy emphasis on this in our Keto Dash program because 99% of being successful on a diet is mental. There are times where you’ll be tempted to consume something that will knock you out of ketosis and it’s during these times you need to remember your Why. If you do happen to slip up then you need to remember your Why so you can jump back on the wagon. Your Why will help to keep pushing you forward so you can reach your goals. My Why was that I wanted to wake up every day without the weight of looking at myself in the mirror and not being happy. I was tired of not feeling happy because I knew I wasn’t doing what was best for me. Sure, I want to look good in a swimsuit but I find that when your Why is attached to a strong emotion it works better. This one seems to catch a lot of people off-guard because when is there a time you can eat too much protein? Well, unfortunately, on keto there are times when you can eat too much protein. What happens is that your body only needs so much protein a day and this is reflected in your daily macros. When you consume an excess of protein your body will convert it into glycogen which then gets converted into fat. While the whole bucket of skinless chicken might be healthy for you, eating the whole bucket probably isn’t going to get you where you want to be. Snacking has a tendency to raise your blood sugar levels and these spikes can knock you out of ketosis. Fortunately, when you’re in ketosis, the only time you might find yourself grabbing a handful of almonds is when you need a bit more energy. If you are successful in planning your meals and having them prepared ahead of time, the urge to randomly snack disappears. One of the benefits of keto is that you gain better appetite control. What I mean by this is that you won’t experience those crazy stomach grumblings as much and you won’t crave the things that you usually do. However, you’ve been eating a certain way for so long that it’s hard to switch your mind off of that so you can find yourself always going to your refrigerator simply because you’re used to eating something every two hours. 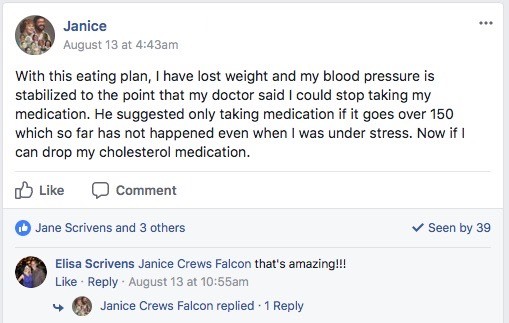 This is why meal planning is so important on keto. The simple fact of the matter is that if you aren’t getting enough sleep then your body can’t do what it’s supposed to do. Fortunately, keto makes sleep a whole lot easier so for most people this isn’t a problem unless you like to party all of the time. When you stress the cortisol levels in your body increase. What is cortisol? It’s known as the stress hormone and this is bad for you if you want to lose weight because it’s meant to increase blood sugar. When you’re blood sugar rises and then drops, your brain thinks that you need to replenish your glycogen stores and so it tells you that you need carbs. You ever wonder why you want to eat ice cream and other treats when you’re stressed? It’s a survival mechanism of your body. If you want to be successful on your keto journey then you need to find ways to better manage your stress. When you don’t mix up your meals you end up getting bored of eating the same thing. This shouldn’t be a problem on keto considering there are 100s of keto recipes out there. One of the fun parts of keto is discovering new meals and trying them out. There are so many foods that you can combine to create something delicious. Take any low-carb vegetable and add it to your favorite meat with some random spice and you may have just stumbled upon something amazing. There is no reason why you should go a whole month eating the same breakfast or dinner. Get creative and push your cooking boundaries. Some diets give you cheat days and many people look forward to those cheat days. There are no cheat days on keto. Cheat days can knock you out of ketosis. Fortunately, there really isn’t a reason to have a cheat day. If you think you deserve chocolate or cheesecake, the make yourself a fat bomb. There is always a substitute for something that you may want on keto. All of these mistakes are avoidable if you’re aware of them and can prepare appropriately. Hopefully, this post has shown you what can happen when you just fly into keto with your eyes closed. It’s not very hard to knock yourself out of ketosis but it also isn’t very hard to stay in it either. Enjoyed 11 Common Keto Mistakes You Should Try to Avoid? Share it with your friends so they to can follow the Miss Fit Living journey!